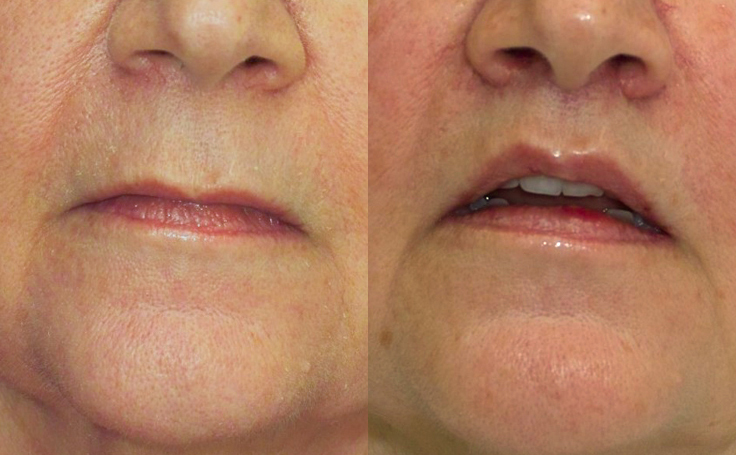 The Lip Lift gave this 64 YO female a dramatic transformation. 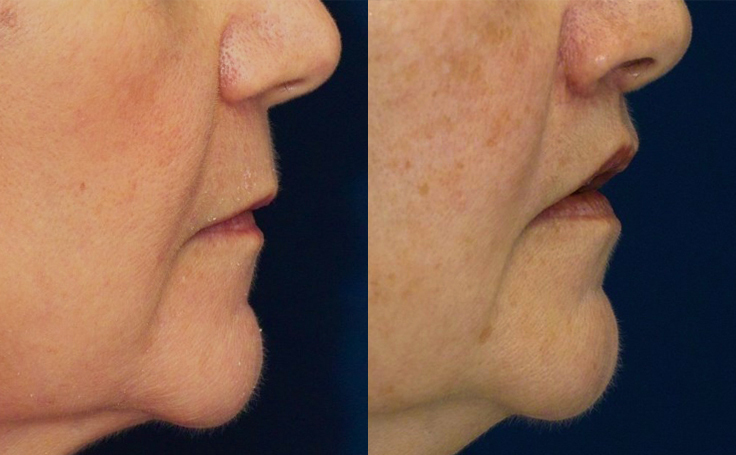 Dr. Ricardo Rodriguez made surgical markings to reduce the long space above the lips to a 1.1 cm (11 mm) distance from the base of her nose. This patient had a very long space above her upper lift. When her lips were at rest or smiling, no amount of teeth would show. 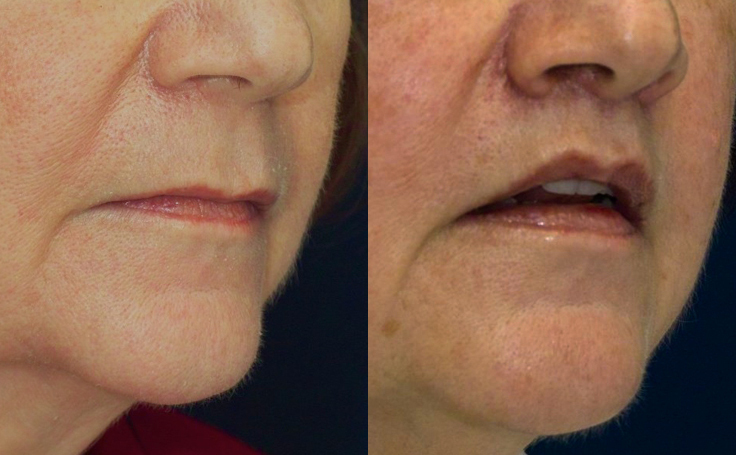 The Lip Lift was the perfect solution to her problem because it reduced the long space and lifted the upper lift. To learn more about the technical details of this procedure please see my blog post which describes why I only dissect skin and not muscle in the procedure.